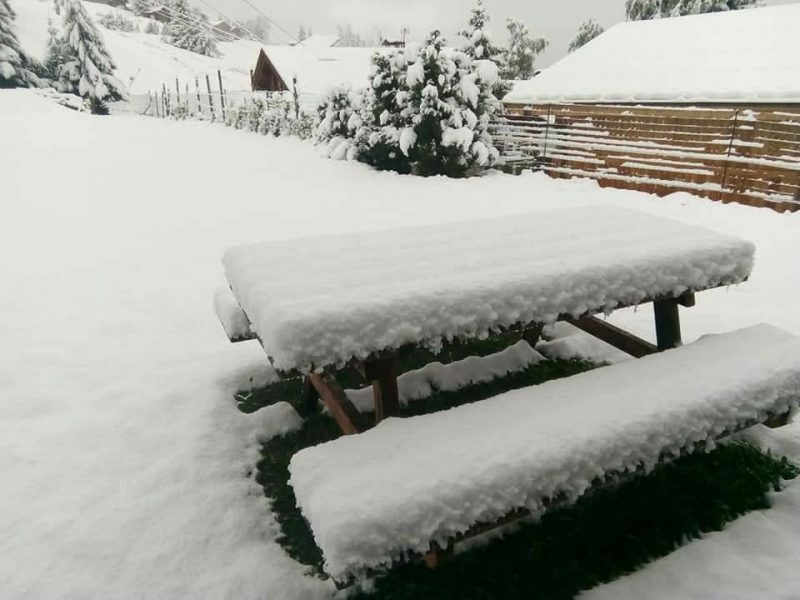 Things have turned rather wintry in the Alps with up to 30cm of snowfall reported in the past 24 hours, and more forecast over the next few days. Currently all ski areas in France and Italy are closed during the week, although Cervinia is open at weekends until the end of the month. About half-a-dozen glacier ski areas are still open for their 17-18 ski seasons in Austria and Switzerland and all are seeing fresh mid-May snowfall at present. Val d’Isere (pictured above this morning), which will re-open for summer skiing on its winter slopes in just under three weeks on 3rd June has reported 30cm (a foot) of fresh snow on those same slopes, so that looks to be good news for their June opening. Engelberg is forecast to receive up to 50cm of fresh snow by the end of the week up on its Titlis glacier, it currently still has the world’s deepest snow base at 6.5 metres (nearly 22 feet). Zermatt is also still open in Switzerland. In Austria the Molltal glacier closed for the season on Sunday and the Kaunertal glacier is scheduled to close next Sunday. The Dachstein, Kitzsteinhorn and Stubai glaciers are also all open with snow forecast.